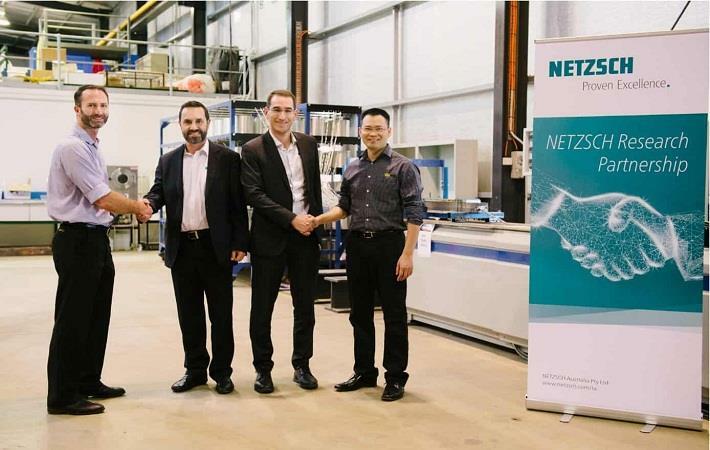 Netzsch Analyzing & Testing and University of Southern Queensland (USQ) have partnered to focus on advancing the automated production of composite materials using dielectric sensor technology. The sensor helps in characterisation of critical material properties during making of carbon fibre-reinforced plastics reducing cycle times and manufacturing costs. The new dielectric sensor helps in characterisation of critical material properties during manufacturing of carbon fibre-reinforced plastics (CFRP) reducing cycle times and manufacturing costs, according to a media release by Netzsch. As part of the research programme, USQ and Netzsch will implement dielectric sensor technology in many industry lead projects like pultrusion of construction materials, out-of autoclave composite repair, development of composite railway sleepers and filament winding of composite pressure tanks. “The new sensor is the first of its kind that is able to deal with carbon fibres without the necessity to shield the sensor against the fibres,” said Dr Alexander Chaloupka, business field manager process analytics, Netzsch Analyzing & Testing. “USQ’s strategic partnership with Netzsch will support the delivery of smarter composite manufacturing processes for our industry partners,” said professor Peter Schubel, director of USQ’s Centre for Future Materials (CFM).